A very masculine scent that's balanced by a spicy, moderate tone, L'Homme Yves Saint Laurent cologne for men is perfect for the man who has an appreciation for subtlety, multifaceted tones and contemporary culture. This casual fragrance, first introduced by iconic designer Yves Saint Laurent in 2006, has a mature character punctuated by notes of citron, white pepper, Virginia cedar, vetiver, ginger and basil flower. 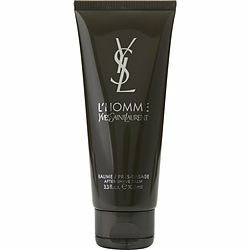 For the sophisticated man on the go, L'Homme Yves Saint Laurent is a great complement to casual occasions.